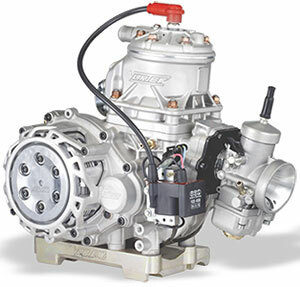 WORD Racing is pleased to be an Authorized Vortex dealer for ROK Engines & Parts. 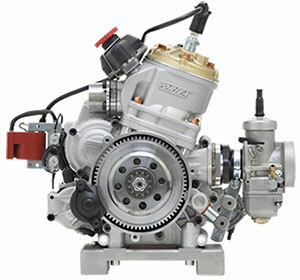 The Vortex Factory, part of the OTK Kart Group, has been the leader in producing World Championship winning engines thorugh innovation, research, technology, and experience. Multi-time winners of the FIA Karting World Championship, including KZ, and KZ2 (Tony Kart) in 2018. 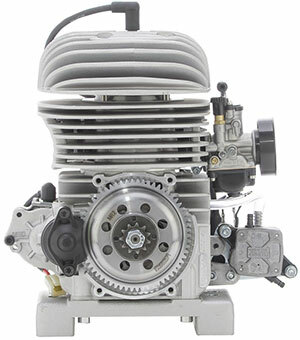 The ROK engines, as used in the ROK Cup USA, have you covered for all your karting needs. High performance and quality, at an affordable price. The Mini/Micro for kids ranging from 7 to 12 years of age, the VLR providing the best bang for the buck in karting with it's 22 hp air-cooled 2-stroke, the incredibly fast GP TaG engine wtih power-valve, and of course the 43 hp 6-speed Shifter for the ultimate karting experience. 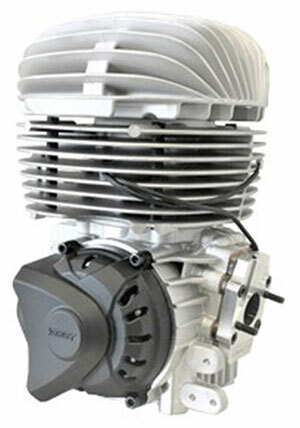 Building upon the successful line-up of Vortex ROK engines, ROK Cup Promotions has launched the brand new Vortex ROK VLR. The perfect platform for the entry-level driver, the ROK VLR not only offers superior performance over its rivals with lower maintenance, but it also offers some great features like electric start all at a cost racers can afford. The new ROK VLR engine was designed solely with club racers in mind, whether it’s a new racer getting into karting, or for those looking to move up from a four-cycle powerplant. Also, for racers that want to update their current 100cc to a state-of-the-art engine package, this engine covers it all. The new ROK VLR engine comes complete, ready to race minus the engine mount. Approved for the O2s Championship series. The ROK GP engine is the next step in the Vortex engine line, and is used in the Senior and Master classes ROK and Junior ROK Class (with restrictions, see below). Rok GP immediately conquered the hearts of drivers around the world, for his spirited soul and a practical structure, which aims to achieve high performance, while ensuring high reliability. The engine has the following features: Single-cylinder 2 stroke engine, displacement 125cc, reed valve intake in the crankcase. Liquid-cooled through integrated pump, equipped with centrifugal dry-clutch and integrated electrical starter. It is also equipped with a balance shaft that reduces vibrations and power valve that improves performance and driveability at low rpm. The engine comes in two configurations, bare engine or in a complete kit with Dell’Orto VHSH Ø 30mm carburettor, Dell’Orto fuel pump, Arrow intake silencer, moulded exhaust and exhaust with integrated exhaust silencer, wire loom complete with battery and battery support. True to the philosophy that favours ease of use and management, Rok Gp engine is aimed at all drivers who want to test themselves on a spirited and performing chassis. Junior ROK engine restrictions: restricted exhaust header. See the ROK Cup USA Rulebook for complete rules and regulations concerning engines for a particular class. *Includes motor mount, but does not include radiator, water pump, hoses, etc. The Rok Shifter engine was born to meet the needs of many drivers who want to compete in a category with the gearbox, but always according to the Rok philosophy: low costs and steady regulations over the time. The engine comes in two configurations: bare engine or in a complete kit with Dell’Orto VHSH Ø 30mm carburettor, Dell’Orto fuel pump, Arrow intake silencer, moulded exhaust and exhaust silencer. Ready for a power of 43 HP, the Rok Shifter is the engine that provides the best combination of performance and operating costs. See the ROK Cup USA Rulebook for complete rules and regulations concerning engines for a particular class. Payment of Freight Charges for Engines Shipped - Enter name (or sales order #) in the box below, click the Buy Now button, and enter the amount quoted (contact us for quote). Note, this will be a separate transaction, it will not add to cart. International Customers are responsible for any Customs charges or taxes their country may charge.